"Margot Fonteyn ( 1919-1991 ) British Ballet Dancer / Ballerina - autographed ballet / pointe shoe. Signed by Fontaine to the toe area in green ink (slightly faded). The shoe itself believed to be one of her own, made by Frederick Freed of England and being a size 4 (as per her preferred brand and size). Provenance unknown, but has come from an estate of some note. A rare and iconic signed ballet shoe." Obviously, I would love to know if it is the real thing (although my friend said it might be better not to find out, and to be as pleased with it as if it were!). However, curiosity has got the better of me, and I was wondering if any of you know anything of this shoe? Do you recognise it? The signature is in green, now very faded pen. The shoe had been quite heavily used although no darning on the pointe. Also, the maker's mark seems to be an N with a 4 above it. Is this a maker that you know Fonteyn to have used at Freed? Any information would be gratefully received. Thank you. I cannot get the photos of the shoe to load as it says the file is too big or something. Have you contacted Freed to ask about maker N and if he was her preferred maker? Have you tried reducing the size of the photograph. I found I could do that by emailing it to myself and choosing the small option. If the autograph is at all readable I have her autograph in a book about her! And I know this is real! Though autographs by the same person can even vary quite a lot sometimes! Maybe Freeds would know but it is quite a long time ago now and not everyone will still be alive from that era. Have you seen this article? I think a company like Freed will have kept records of who made who’s shoes as dancers have their favourite makers. 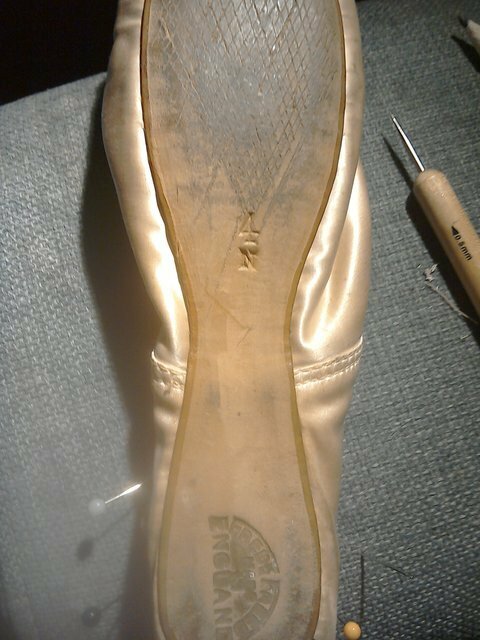 That’s not to say that Fonteyn didn’t change Makers though; when my daughter’s beloved Key Maker left Freed, she (and more than one RB Ballerina) had to change Maker to find one who produced a similar style of shoe. Although if you turn Z the other way it looks like an N.....!!! Gosh Z was my maker when I wore Freeds! I've never been able to compare myself with Fonteyn before. Hah! Finally managed to upload a photo of the bottom of the shoe. Definitely an N not a Z then. Thanks for all your ideas guys. I shall take another picture of the signature, which is very faded, in better light, LinMM. Thank you. I have written to them to ask if Margot used both the Z maker and the N maker. Thank you for the suggestion, I wouldn't have thought of that. LinMM, I would love to see a photo of the autograph from your book sometime, if it wouldn't be too much trouble, for further comparison. I would send you a photo of mine to you with the same aim, but I cannot get it to read well on any photograph. My problem is getting any photo I might take of it onto this sight!! I got it on my favourite book about her as a child ( well 12 upwards) by William Chappell. My photos go into the album on my Ipad but you can't upload photos from a private sight onto the Forum. The autograph above is very similar to the one in my book!! Ive had a problem posting here just now so couldn't send you a message but perhaps it has gone back to normal now!! Yes that's definitely her autograph ...I've got one on a ballet programme too ....but it's in a box somewhere up in the loft so might take a few weeks to find that one! Sashay did you download this from your own private photos? the black and white signed photo hangs on the wall at White Lodge, Richmond. Thought I’d compare to show authenticity and slight variations! My question was a technical one Sashay eg how did you do it!! Download to the Forum that is. Do you have to pay for Flicker? It looks a bit complicated for me! I don't want anyone else to generally see any photos I would put there .....and it would only be very few anyway....for Forum purposes etc......eg: I'm soon going to be buying an iPhone so could take curtain call pictures or other related ballet pictures but would still need to know how to upload to the Forum without using a site which seems to want you to show off your photos to all!! I can see why others use these sights but apart from transferring photos here I'd have no other use for it I already have Apple storage etc. Photographs taken on phones are smaller than camera photographs. They should work on this site. So I know there are two photos there but then how would I get a photo to this site from Flickr? Do I just copy the photo and hope it arrives here? Pick up the address from the bar at the top and use it as a link here. But I can't find the two photos I put there now!! I can't seem to find my own activity.....it tells me I haven't got any activity yet! Perhaps Flickr doesn't work on an IPad? Sorry not the photo of Fonteyns autograph yet I just wanted to see if I could do this! Ive finally managed to save a photo there ( the other two disappeared because I don't think I was properly registered! 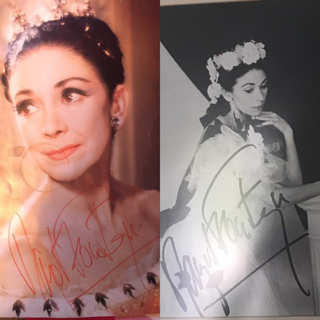 However early days .....I'm going to see if I can find this photo again back in Flickr and then will take a piccie of the Fonteyn autograph and try and post here. 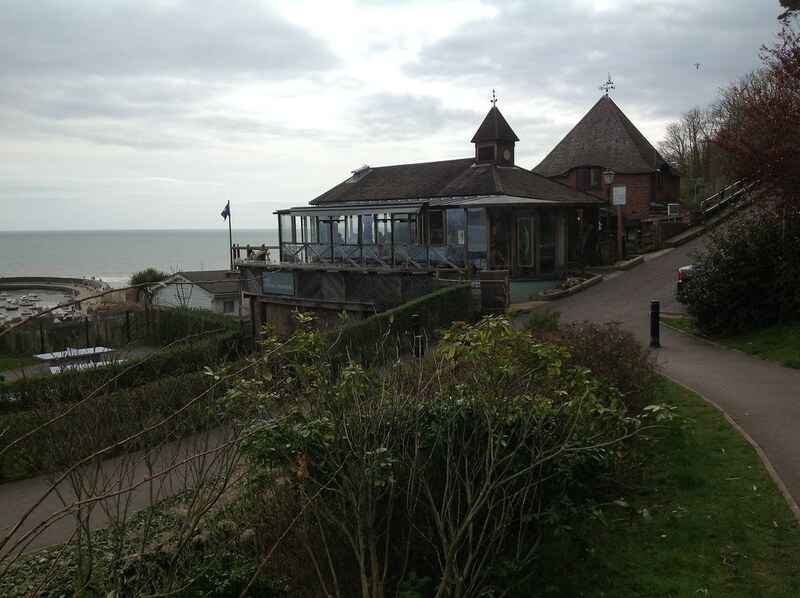 The above if anyone is ever in Lyme Regis is a lovely little restaurant at the very top ( high car park end) of the path leading down to the harbour eventually. Sorry Cavycapers technology is not my strong point! !